​Essential reading for Twin Peaks fans. 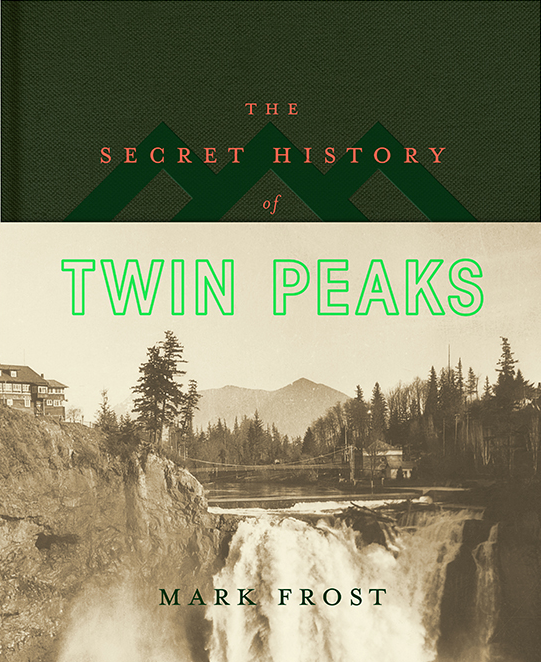 This novel, written by series co-creator Mark Frost, is a bulky dossier that delves into the history of Twin Peaks. It begins with the journals of Lewis and Clark and ends with Cooper/BOB at the finale of season 2. The book ties up a few loose ends from the show, especially for the smaller supporting characters. Half the novel follows little-seen character Douglas Milford. But it gives some closure/depth to characters like the Log Lady and Major Briggs. But don’t expect the book to be about familiar characters however. It covers such a vast amount of time and history that there are thematic strands running through it and an overarching narrative, but the majority of the book weaves real world events (mysterious sightings, “Men in Black”, assassinations) with the surreal world of Twin Peaks. Also don’t expect the book to answer everything. It says multiple times about how the mysteries of life themselves are the point, not the answers behind them. That seems perfect for this book and the show. The mysteries are there to be interpreted but never ultimately solved. Here there is a good chance that Doug Milford encountered aliens, but also a chance it was all coincidence and smoke and mirrors. You never know the truth but that’s ok. That’s the point. There’s a good mystery running throughout the book – who is the archivist? The answer seems so obvious now, but I was way off. There is the narrative of the articles and excerpts, the archivist’s comments, then the comments of a FBI agent. There is a lot of depth but it is not overwhelming. It’s actually very enjoyable and easy to read, except a few of the handwritten segments which are often almost illegible. But maybe that’s part of the puzzle? ‘The Secret History of Twin Peaks’ is exactly that – the entire HISTORY of Twin Peaks. It all feels like expanded universe stuff, but I would recommend it for a deeper understanding of the show, and an answer to some of the mysteries you didn’t even know you wanted answers for.